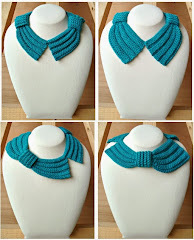 2018 has been a great year in fiber arts for me, and I am so happy that I was able to design one more pattern before the year end! 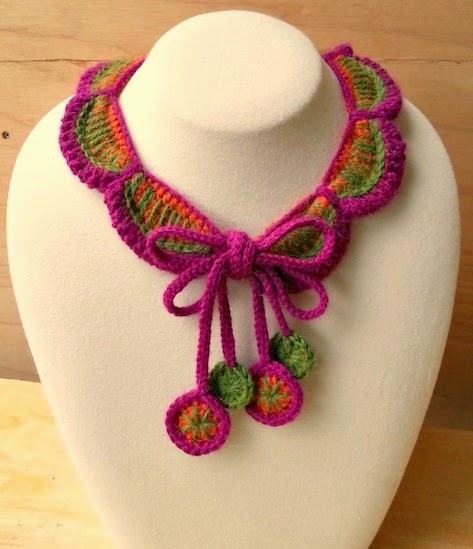 This year, I have been trying to pinpoint the areas of fiber arts that I enjoy most, and I decided that I need to get back to designing more crochet jewelry, as that is what I love most! 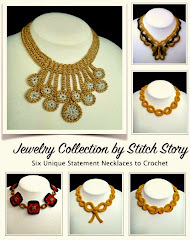 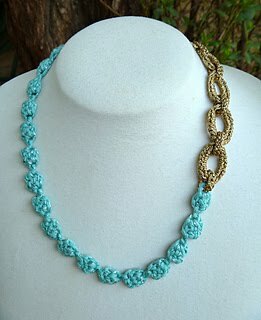 So, I began with the Stone Necklace Trio, and am now releasing the Venezia Necklace pattern, which was inspired by my recent interest in macrame, and my lifelong love of vintage jewelry! 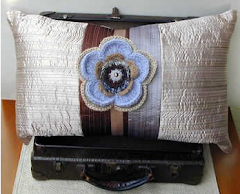 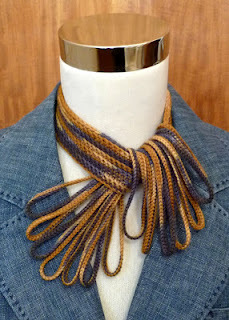 Clothes come and go from your wardrobe, but accessories are something you hold onto, and enjoy for years and years! 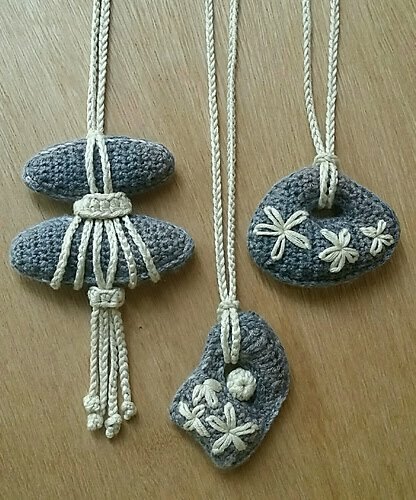 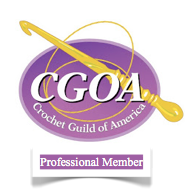 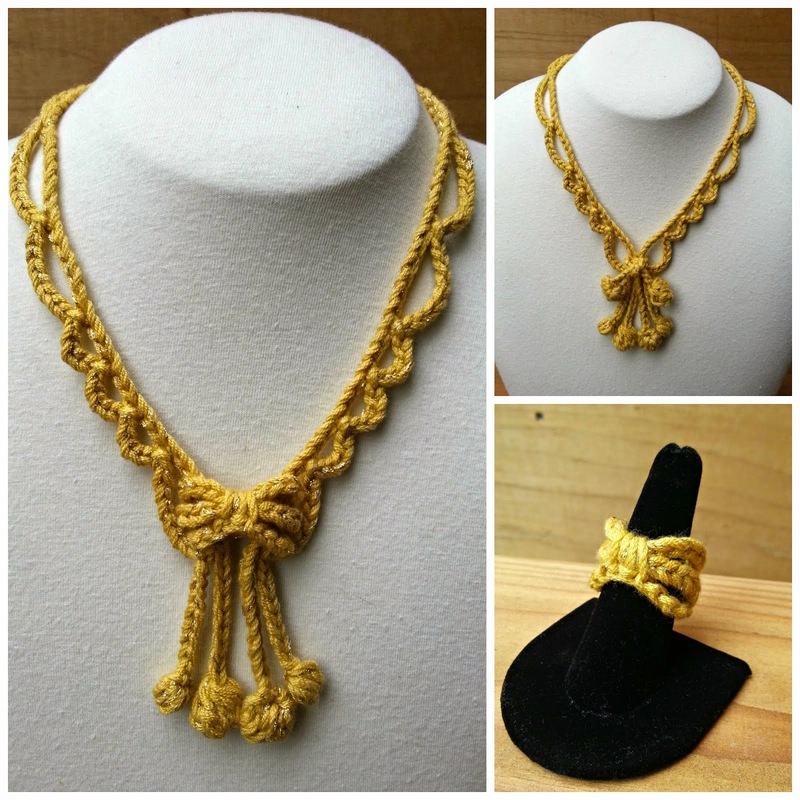 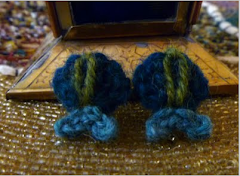 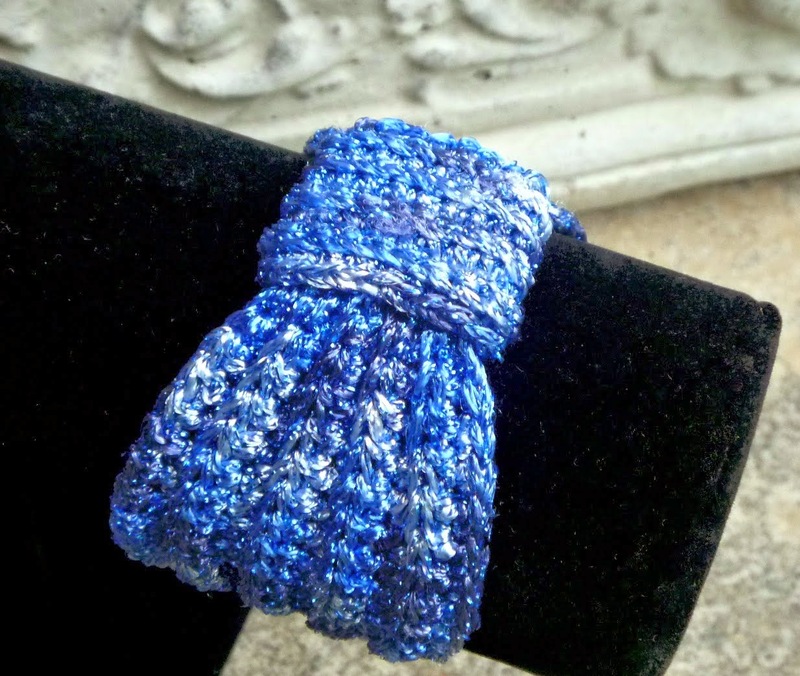 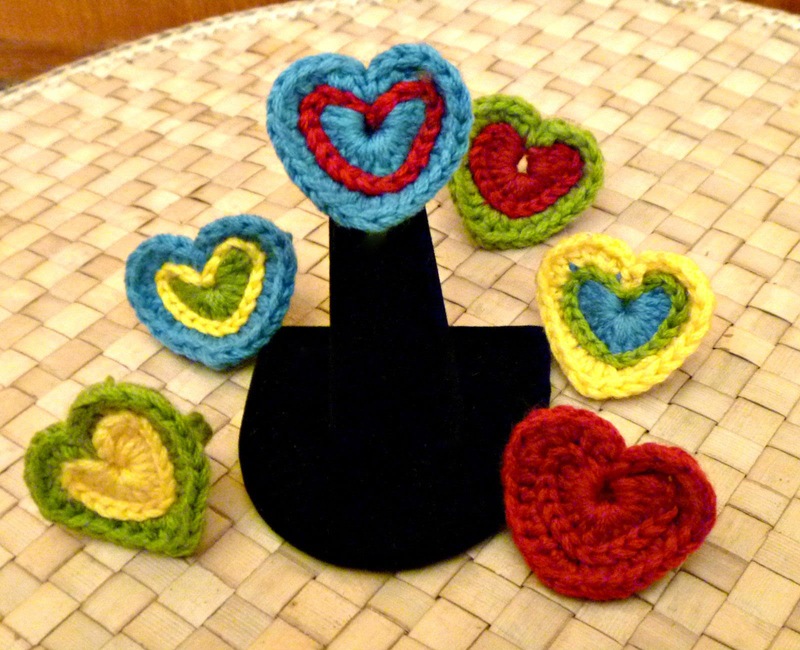 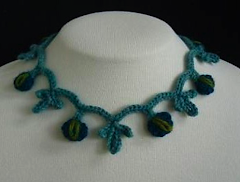 Crochet jewelry also is great for gifts as it is quick to make and you can customize it to the preferences of the person you are giving it to. I chose to make the sample for this necklace in the "Magnolia" shade of Lionbrand's Cotton Bamboo yarn, as a nod to the macrame inspiration, and to give the impression of a blank canvas. 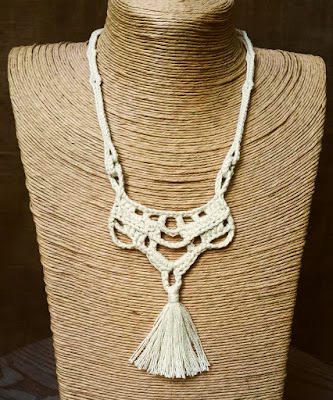 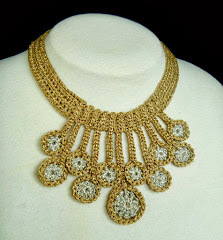 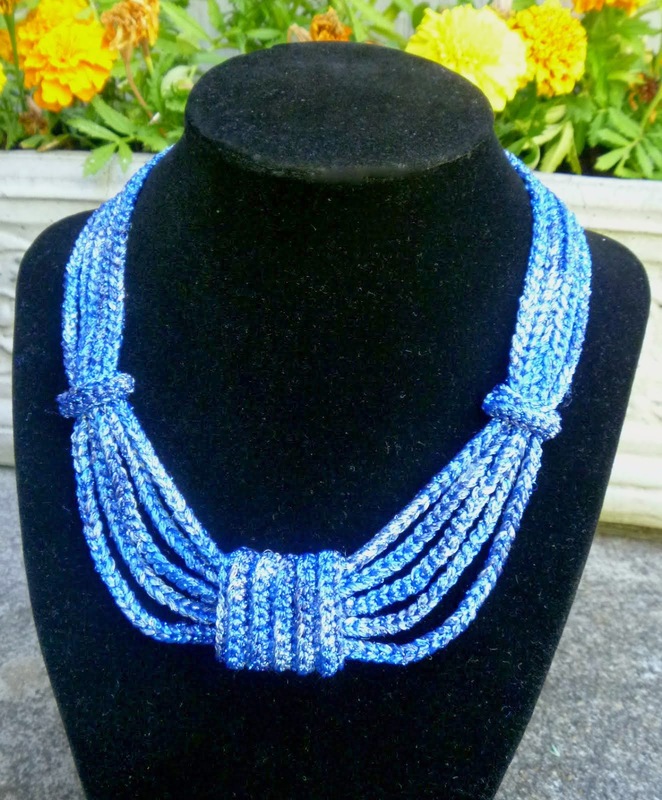 You could crochet the various elements of the necklace in different colors, add metallic yarn accents or even crochet the entire necklace in a metallic yarn for full glitz! 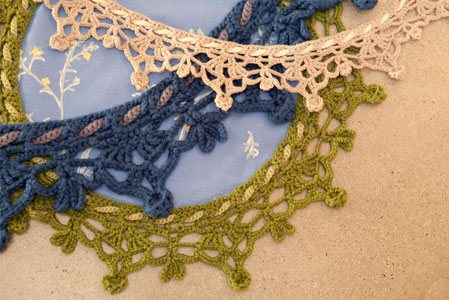 This pattern is enjoying and satisfying to make, as it is created in parts and then you get to see it come to life as it is assembled! 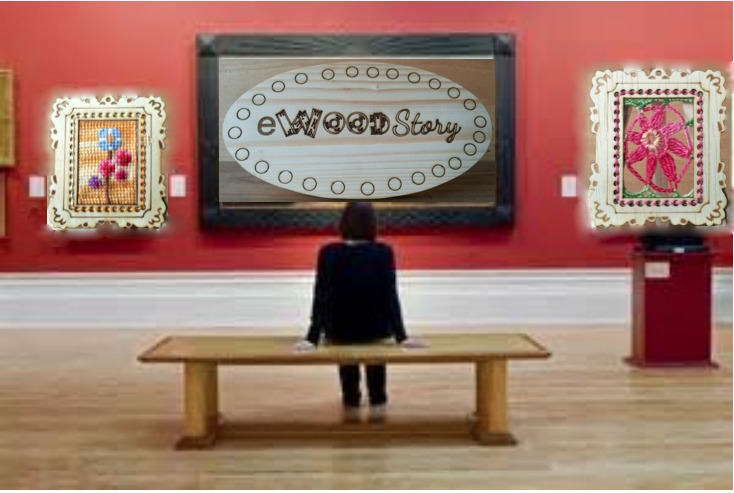 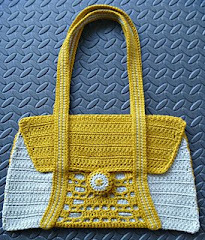 I am looking forward to what will hopefully be a productive 2019 for all and I want you to know how much I appreciate your support and visits to my blog! 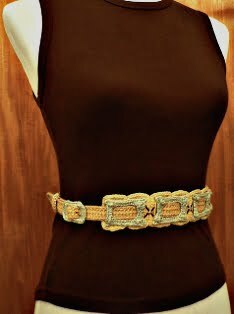 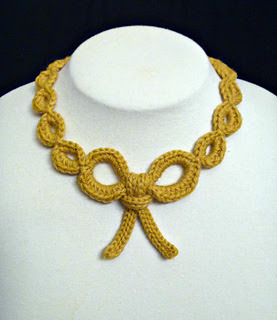 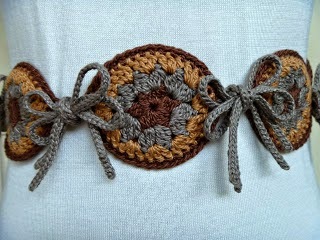 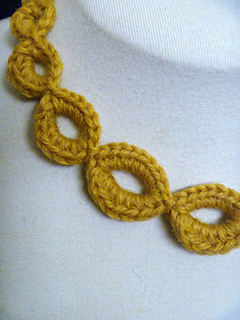 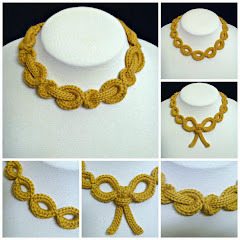 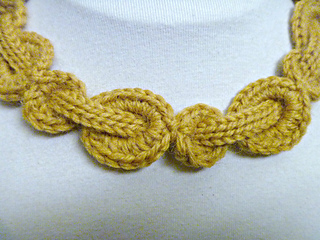 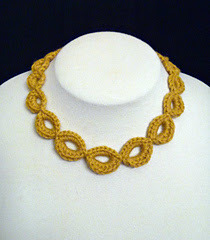 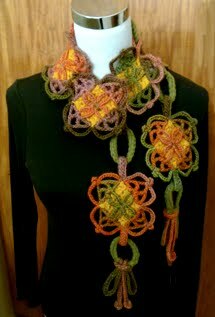 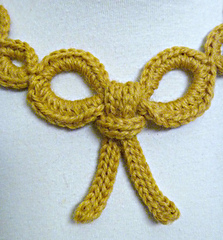 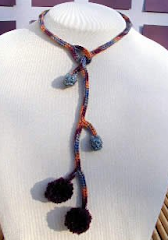 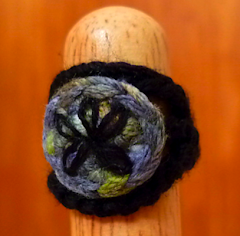 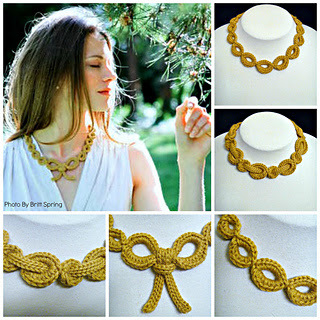 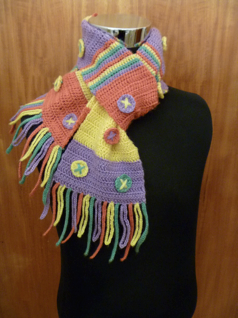 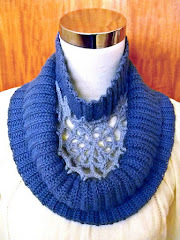 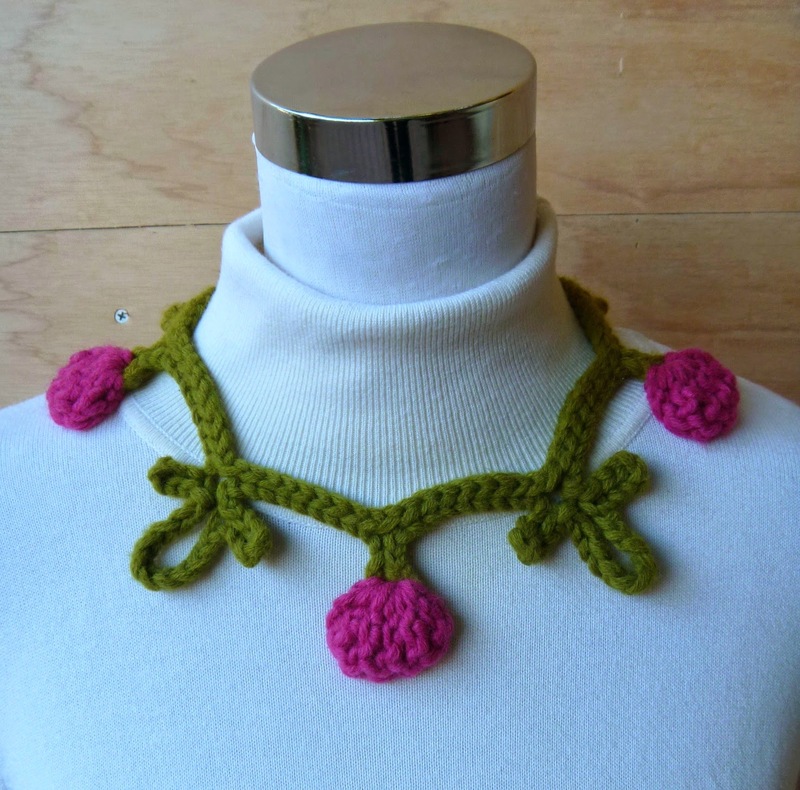 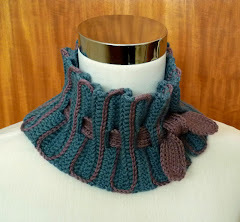 I am celebrating crochet jewelry design this week, with the first pattern I ever designed for the Berroco Yarn Company. 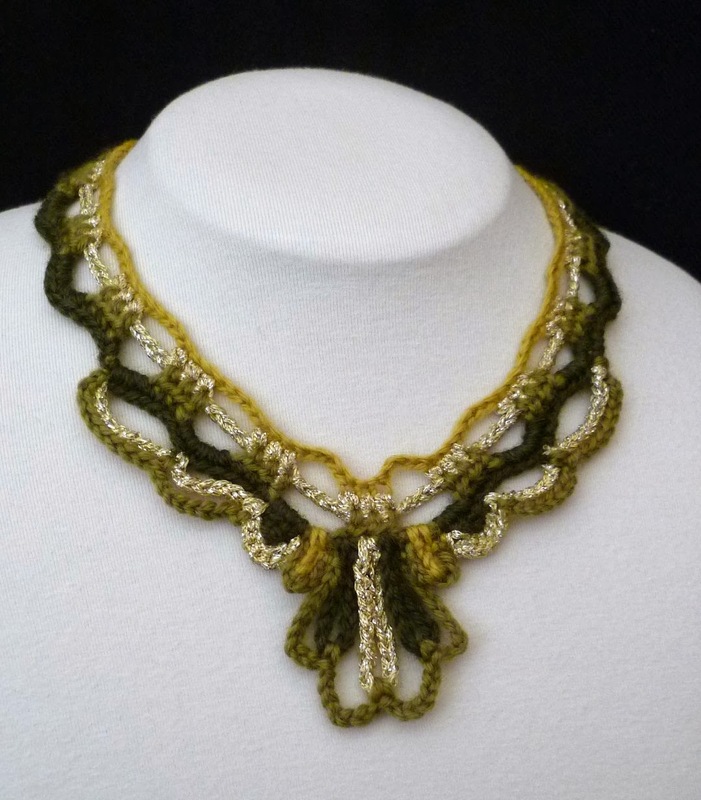 It was also the design that made me realize that designing crochet jewelry patterns was something I really needed and wanted to do more of! 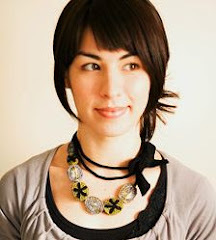 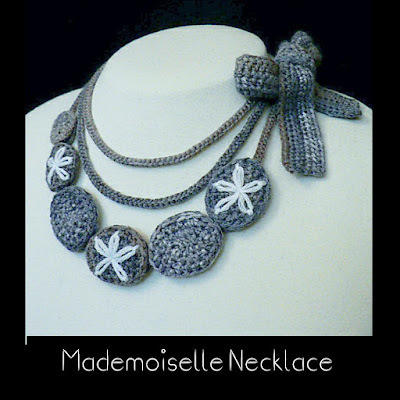 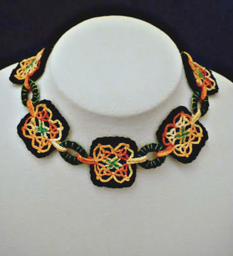 The Mademoiselle Necklace is an adventure in crocheting beads and in embroidery embellishment. 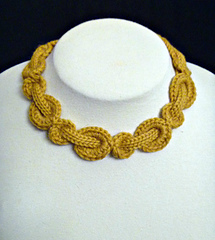 An elegant and truly fun accessory. 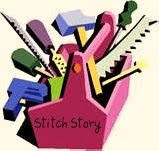 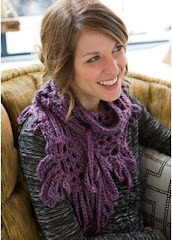 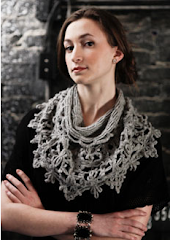 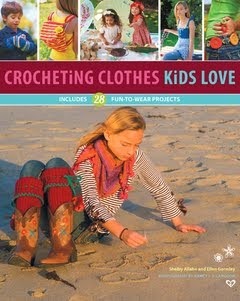 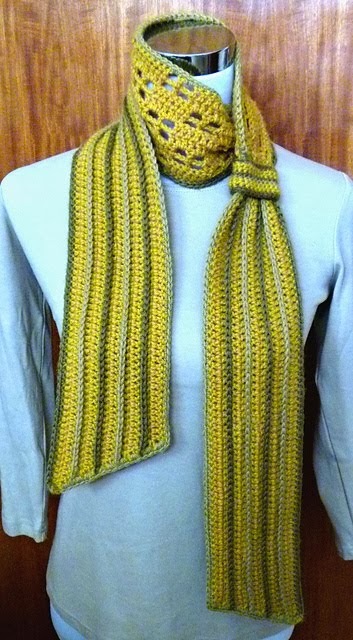 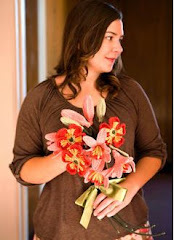 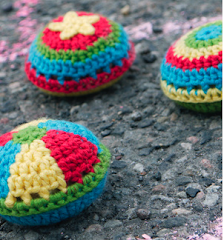 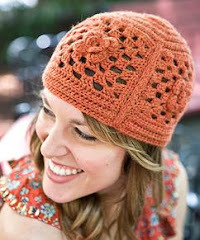 You can find this pattern for free, here on Berroco's website. 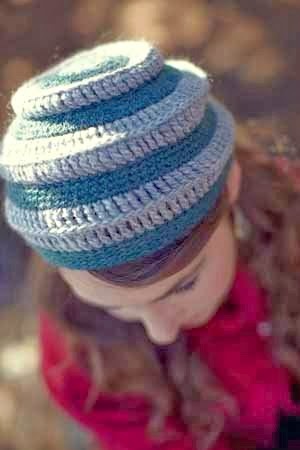 Berroco Comfort Sock yarn is really the perfect yarn to use for this pattern. 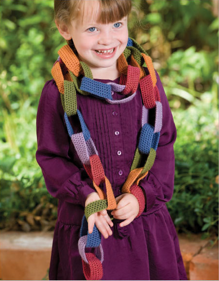 Check out all of the beautiful colors it comes in! 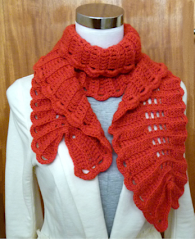 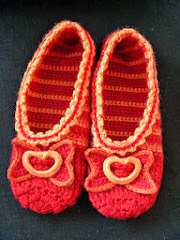 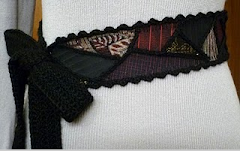 The sample above was crocheted in "Dunedin", which I love. 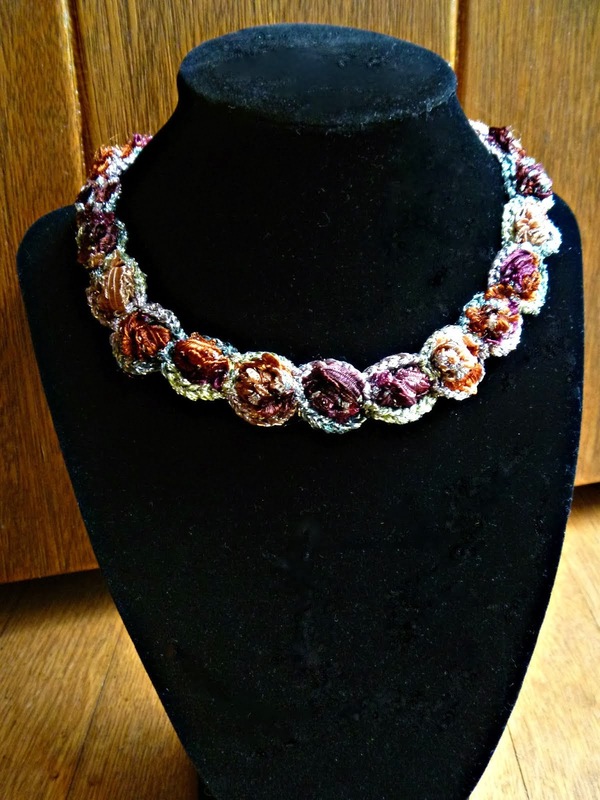 The colors running through it are like natural stones. 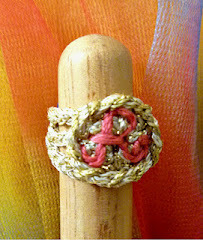 The sample on Berroco's website was crocheted in "Fruit Cocktail" which I also love. 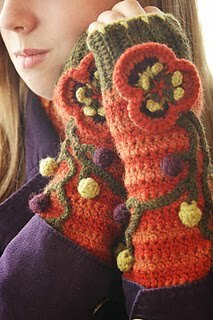 Any of the variegated Comfort Sock yarns would be beautiful to use!